English politician; born Aug. 31, 1853; son of Horatio S. Samuel by his marriage with Henrietta Montefiore. He was educated at Eastbourne College and St. John's College, Cambridge (B.A. 1875). 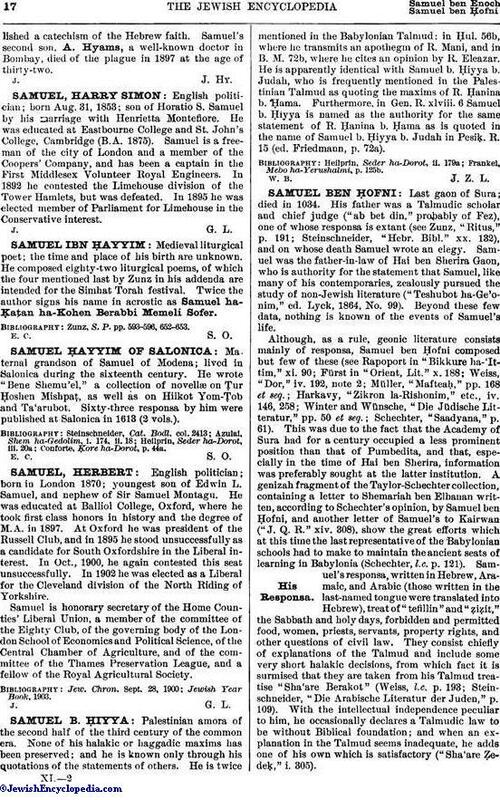 Samuel is a freeman of the city of London and a member of the Coopers' Company, and has been a captain in the First Middlesex Volunteer Royal Engineers. In 1892 he contested the Limehouse division of the Tower Hamlets, but was defeated. In 1895 he was elected member of Parliament for Limehouse in the Conservative interest.